Mrs Rabbit lives with her four little bunnies, Flopsy, Mopsy, Cotton-Tail and Peter in her cosy burrow underneath the root of a big Fir tree. Their neighbour, Mr McGregor has a big garden where he grows carrots, radishes and lettuce. Flopsy, Mopsy, Cotton-Tail and Peter would love to go into his garden to eat the yummy vegetables but Mrs Rabbit has forbidden it because their father had had an “accident” there! One day the bunnies were on their way to school when naughty Peter decides to go into Mr McGregor’s instead! Join Mrs Rabbit and the Flopsy bunnies at Artscape and help Peter escape from Mr McGregor’s clutches. 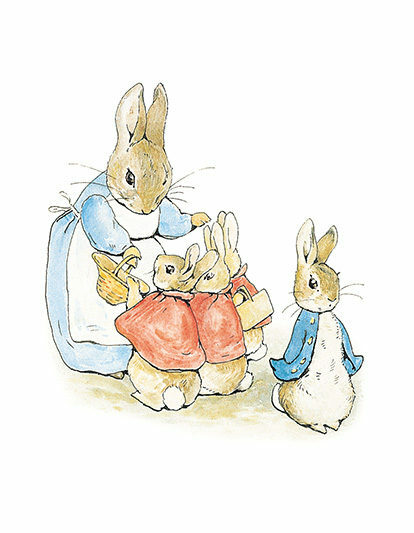 The Tale of Peter Rabbit is adapted by Dudley Glass, Licensed by Frederick Warne & Co; Illustration © F Warne & Co. 1902, 2002.